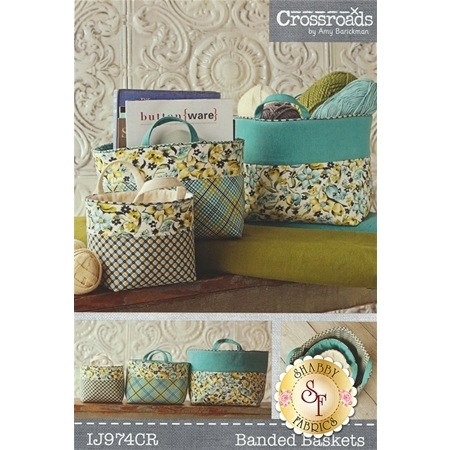 From Tara Smith for Indygo Junction come these banded baskets! Three sizes of nesting baskets make it easy to organize your home stylishly. 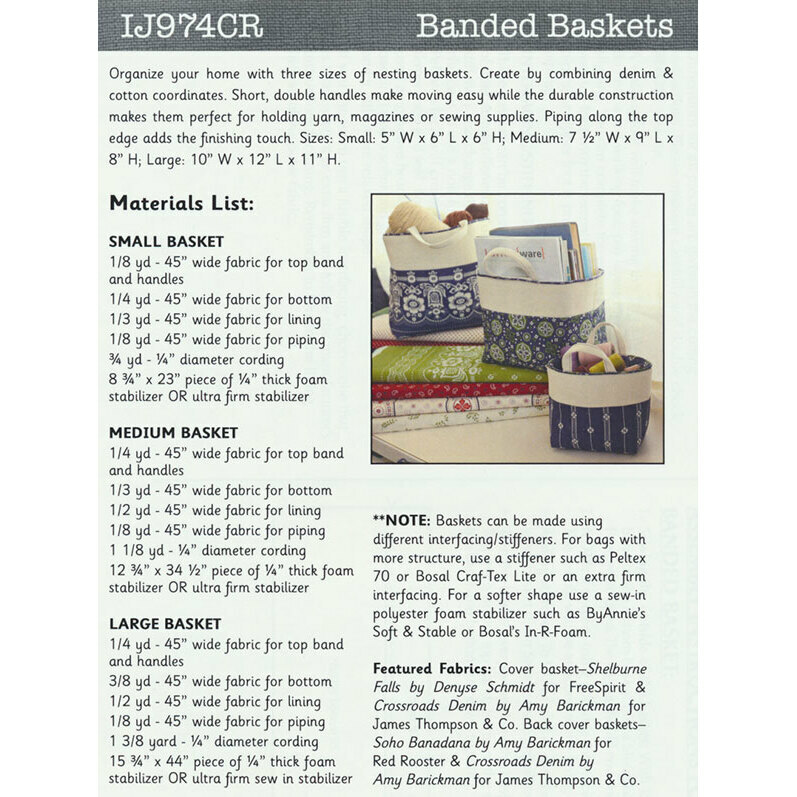 Short durable handles and piping along the top edge are the perfect touches to complete your baskets. Finished products measure at SM: 5" x 6" x 6", Med: 7 1/2" x 9" x 8", LG: 10" x 12" x 11".